TestProject’s team conducted a research to draw a full picture of the leading functional test automation methods and best practices that are used by companies across the globe: 222 software testing experts from different organizations were surveyed. The results are now publicly available and can help you choose the right strategy when approaching your test automation project! A third of the organizations across the globe use the following approach for their test automation project: JUnit as a framework, Selenium as a Web driver, Page object model as methodology and Java programming language, which turns it to a definite best practice in functional test automation! Test automation recording & playback is used among 5% of the organizations! Above 95% of the organizations implement more than a single tool as part of their test automation framework. Finally, the all time favorite is Selenium, rated as the #1 most implemented test automation tool worldwide. 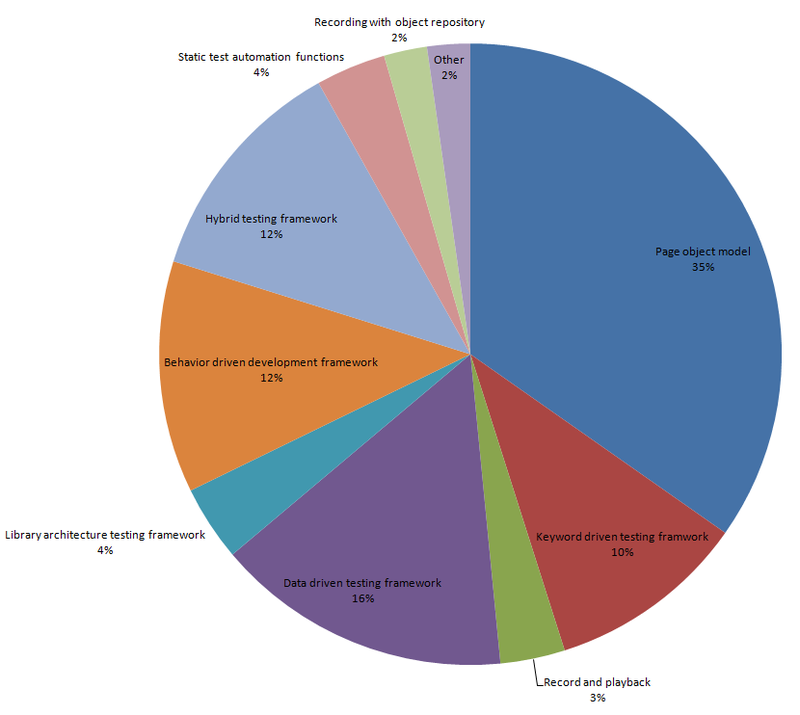 We discovered that most companies use more than one approach for their automation testing. In fact, in most cases, 3 different approaches are used in average! This emphasizes that with everything related to functional test automation, there is no specific recipe that suits all cases. Companies create their own winning blend using the leading approaches/ frameworks and tools to support their internal automation needs. Page object model was found to be the most implemented approach by 35% of the companies. The most popular framework used by organizations is: JUnit (17%), and the second choices are: NUnit (6%) and Robot (5%). In addition, there is a continuing trend from 2016 research: which shows a scale back in the use of commercial tools (from 20% in 2016 to 12% in 2017), as opposed to a growing demand in the open source test automation tools (from 56% in 2016 to 76% in 2017). 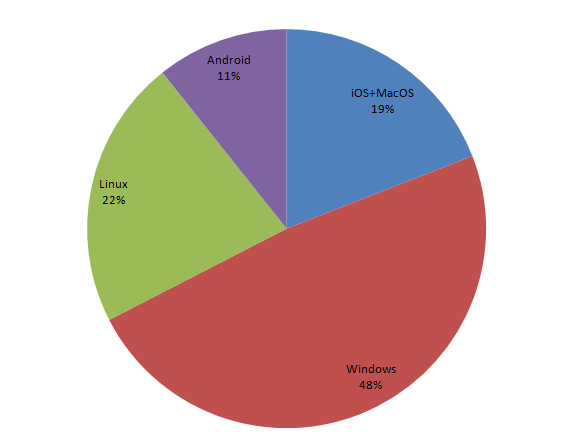 Almost half of the professional survey participants concluded that Windows bypasses all of the other operating systems. 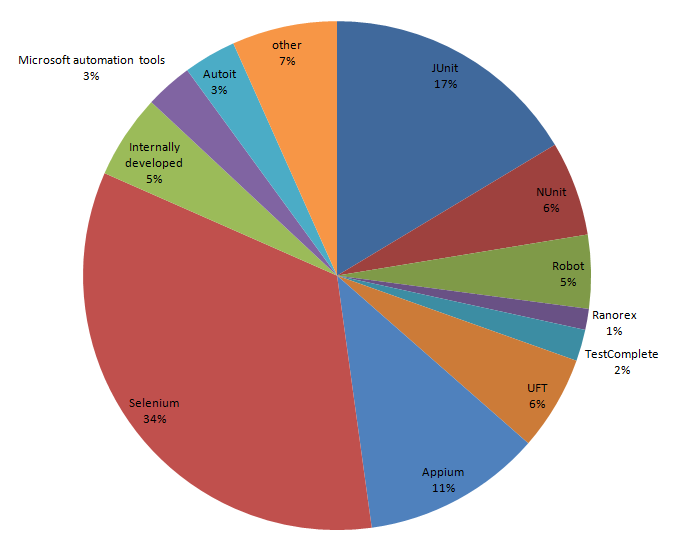 Which are the leading functional test automation methods at your company? Are you surprised by the results? 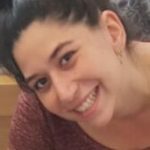 Awesome articles, really like what you have acquired here, the information you provide about Test Automation Methods really useful. The most popular framework used by organizations is: JUnit (17%), and the second choices are: NUnit (6%) and Robot (5%). In addition, there is a continuing trend from 2016 research: which shows a scale back in the use of commercial tools (from 20% in 2016 to 12% in 2017), as opposed to a growing demand in the open source test automation tools (from 56% in 2016 to 76% in 2017). 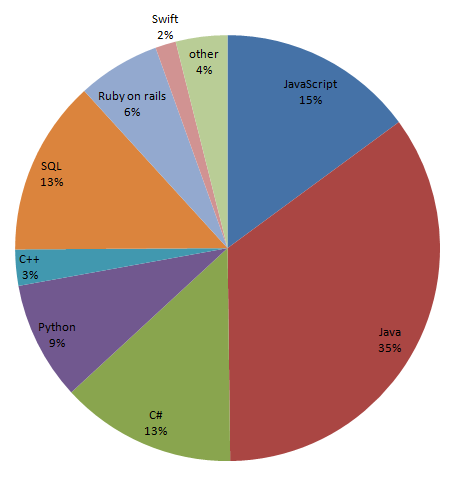 And also, given the information about Most Implemented Programming Languages. It’s very helpful Information.